Plan a Thanksgiving feast for the whole family—including the youngest guest at the table. 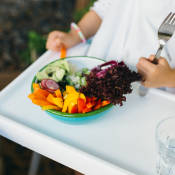 If introducing solid foods into your baby’s diet has you panicking, this post is for you. Transitioning baby to solid foods can be a time for anxiety for some moms. Wondering what to feed them and how much and how often. Not to fear, here are a few tips to get you off to a good start. 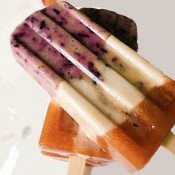 Healthy homemade popsicle recipe from Emily at Dixie Fresh that's free of refined sugar and packed full of healthy fruits and veggies. With the right combo of fruits and vegetables, the sugar is not missed. Your kids will love these. In this post I'll dive into my favorite butternut squash macaroni and cheese recipe. 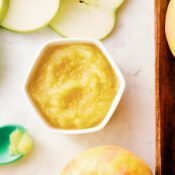 I'll also show you an easy butternut baby food puree. 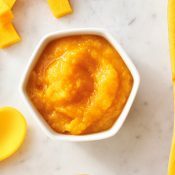 Since butternut is a mild and slightly sweet veggie, its the perfect first food for baby and is appropriate from 6 months up. 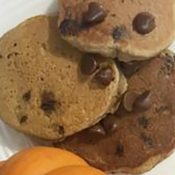 I am not one for putting pumpkin in everything I make, but these pumpkin butternut pancakes can make even the pickiest of eaters enjoy veggies for breakfast.